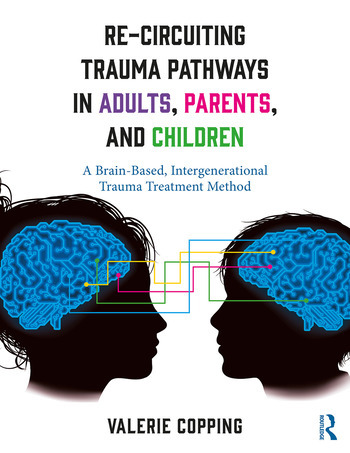 Re-Circuiting Trauma Pathways in Adults, Parents, and Children presents the evidence-informed and substantiated Intergenerational Trauma Treatment Model (ITTM), with an emphasis on up-to-date trauma theory, the development of specialized clinical skills, and the replicability of methods. Grounded in original research, experiential practice, and mathematical principles of logic, the ITTM targets and treats both the child’s and the caregiver’s complex trauma, providing the content and the process for supplying an effective, and brief, caregiver-first treatment option. It delivers an innovative, multigenerational approach to complex trauma treatment that strengthens the caregiver-child relationship by motivating and teaching caregivers to help their children cope with the effects of trauma. Valerie Copping, PsyD, is the developer, lead trainer, and clinical consultant for the Intergenerational Trauma Treatment Model (ITTM). She currently provides training, courses, and consultation to students, professionals, and mental health organizations.